For Pattern 259 Compass see Compasses and Nav Equipment Page. More new parts added 21/01/2019 in Section 5C, 6B, 6D and 10. See Gun Sights and Related Items page. New items listed on Flying Clothing page. Some minor damage, mainly chips around the edges. See 8B/ Gun Sights and Related items page. See Radio and Radar Equipment page. This aircraft was one of the last GR1s in operational service and was finished as she last flew in all over grey. 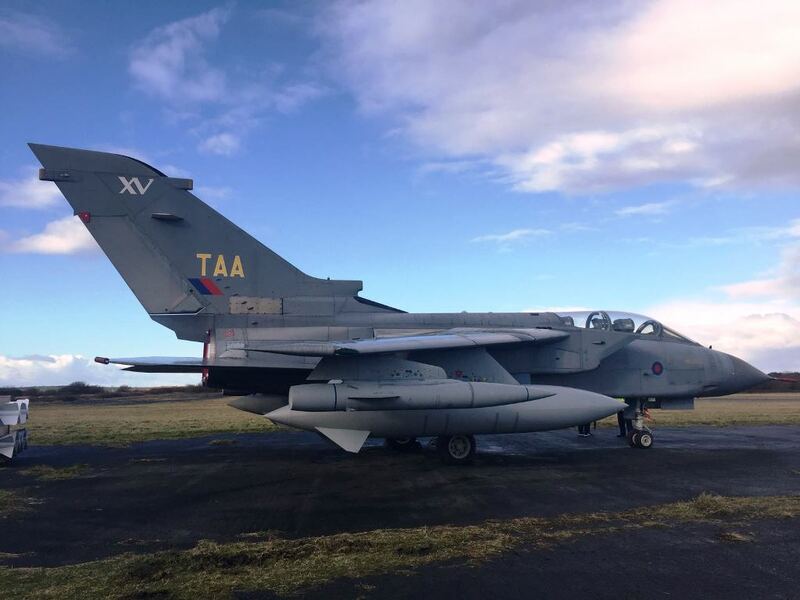 First flown on 28/11/1980, this aircraft served the first part of her operational life on TTTE (Tri Tornado Training Establishment) with tail code B55 before being allocated to 15 Squadron at RAF Lossiemouth. Last flown 31/05/2001, it was then retired to a ground instructional role where she served as the RAF Lossiemouth weapons load trainer as a ground instructional airframe for: 14 Sqn, 15 Sqn, 12 Sqn and 617 Sqn. This ASI carries an inscription on the rear which shows it to have been removed from SL674 in October 1951. This aircraft was subsequently placed on exhibition outside the chapel at Biggin Hill. Later it was replaced by a fibreglass replica and SL674 was moved to the RAF Museum at Cosford. See Blind Flying Panels and Fixings page..